What might the letting fees ban mean for tenants in England? What we really mean by this question is: will the planned letting agent fees ban for tenants lead to rent rises? Will landlords have to foot the bill, will agents absorb the costs, or will it simply be passed onto tenants in the form of higher rent? There are so many questions floating around at present. And we will not know the answer until the ban has been implemented, which may not be for a while yet, as we are still at the consultation stage. Will upfront costs be reduced? If you want to move into a new rental property, or are renting for the first time, your upfront costs should be reduced. At the moment, tenants are usually required to pay a deposit and a month's rent in advance at the start of a new tenancy. Lettings fees are charged separately, and will cover a variety of administrative services, such as reference checking, inventory, and the drawing up of the contract. There may also be a holding fee involved. When the ban is brought in, these letting fees won't have to be paid for by tenants. Tenants should only have to pay a deposit and a months' rent in advance, potentially saving them hundreds of pounds. In the short-term at least, tenants should benefit and save money. Many in the industry voiced concerns following last November's Autumn Statement (where Chancellor Philip Hammond first announced the government's plans to ban letting agents' fees for tenants) that the ban would simply lead to rent rises, meaning that tenants will still end up paying for the cost of letting agents' fees. Letting agents have costs for their services which need to be covered. These costs may be transferred onto landlords in the form of higher fees. However, landlords do have the freedom to shop around in order to find the best deal from a letting agent. The landlord is more likely to choose an agent with lower fees, thereby making letting agents' fees more competitive. This may lead to agents having to lower their fees or absorb the extra costs themselves. In turn, rents would not need to rise. It's worth noting the situation for landlords at present, too. Landlords have had to swallow many changes to the buy-to-let sector in recent years, including an additional stamp duty surcharge, and changes to the wear and tear allowance and mortgage interest relief. These changes arguably increase the likelihood of landlords increasing rent for tenants. When will the ban be introduced? This is not yet known. A consultation was launched in April, allowing all sides to respond, should they wish to do so, by 2 June 2017, after which point an impact assessment will be completed. If tenants would like more details about the letting fees ban consultation, they can view the consultation paper here. 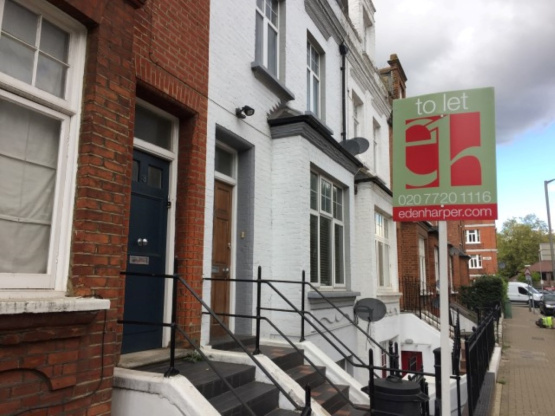 Whether you need advice, or are looking to rent, let, sell or buy property in Brixton or Battersea, speak to us for help today.